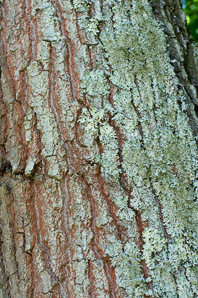 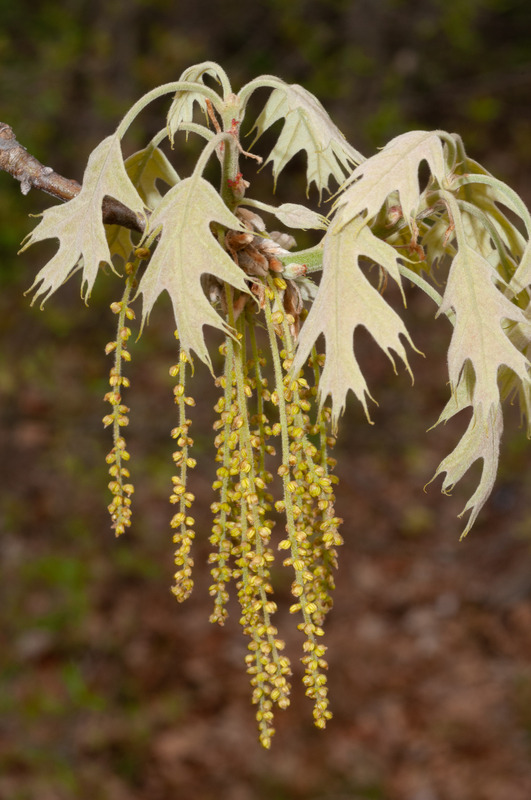 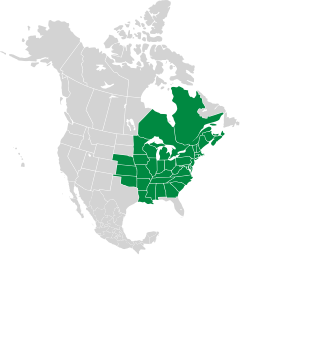 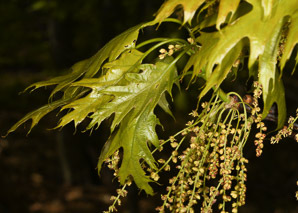 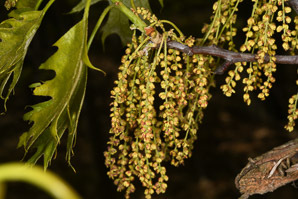 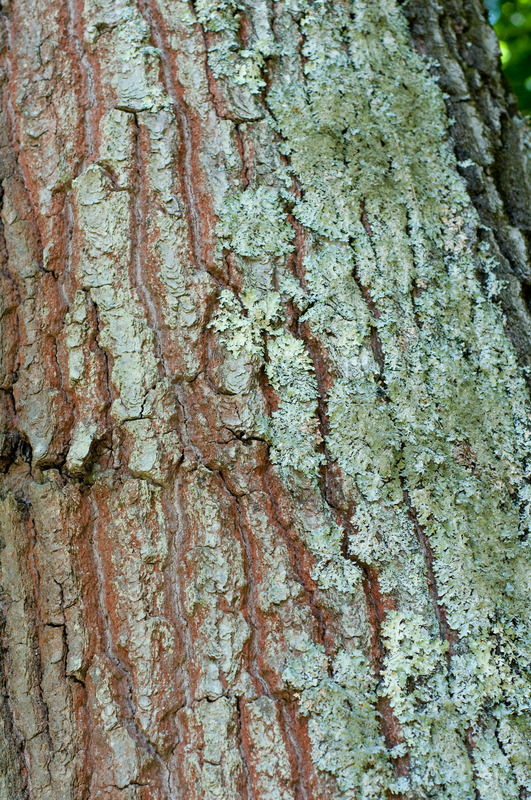 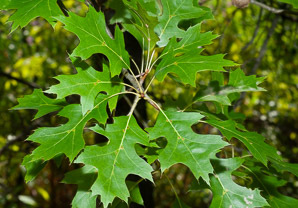 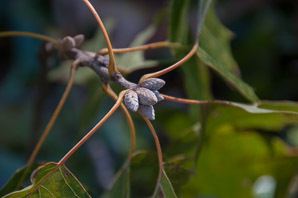 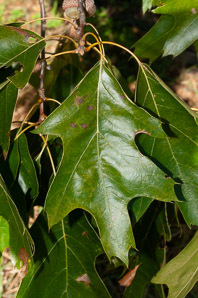 Northern red oak is a common native of eastern North America. 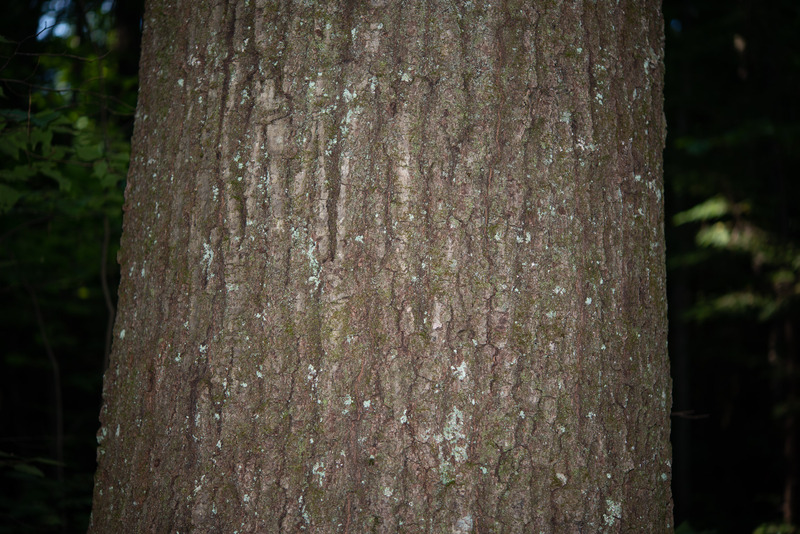 Identification: Trees reach 90' (27 m), exceptionally 165' (50 m). 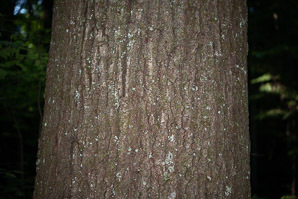 Trunks are usually 20-40" (50-101 cm) around, but they can reach 6' (1.8 m). 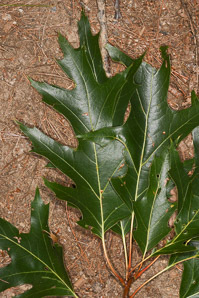 Leaves are 5-8" (12-20 cm) long. 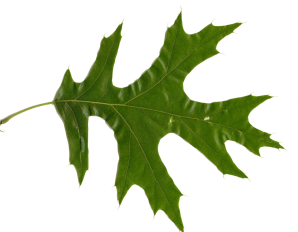 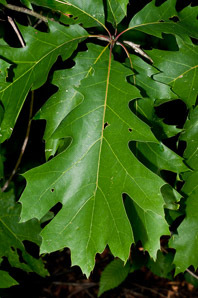 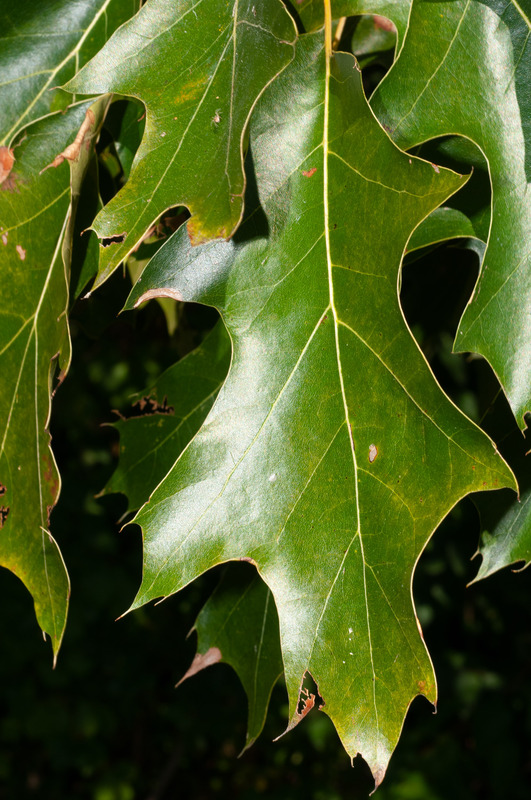 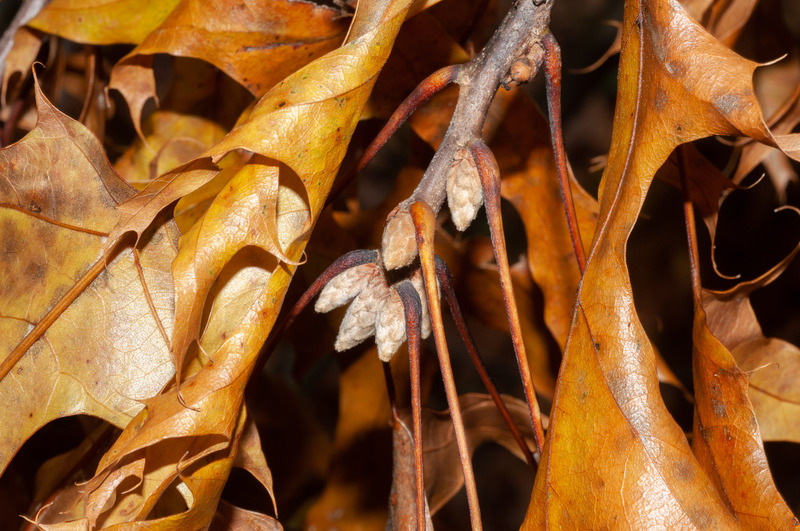 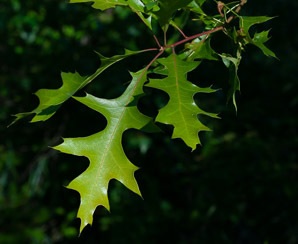 While leaves of white oak typically have rounded edges, red oak leaves have 7-11 lobes with sharp tips. 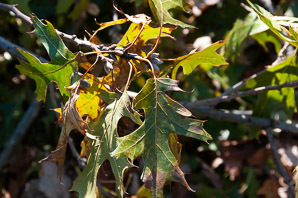 Leaves are shiny and very durable, remaining intact through the winter. 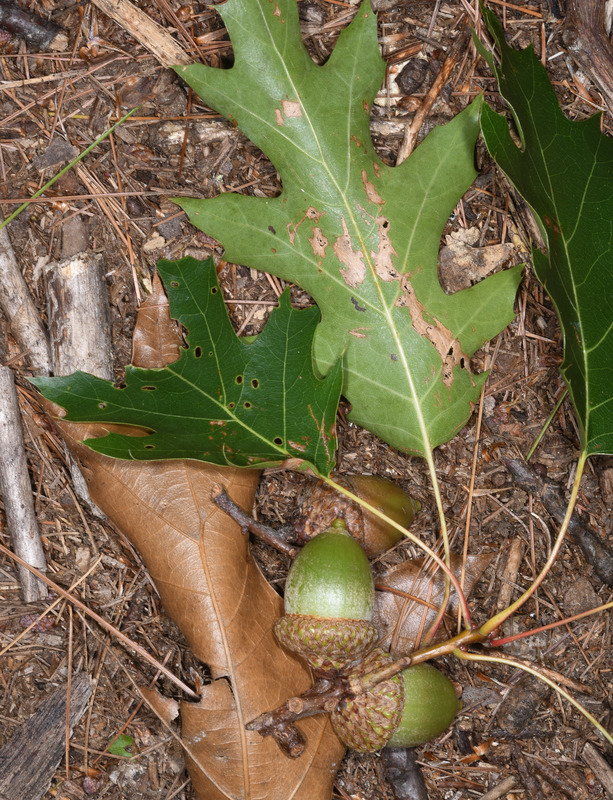 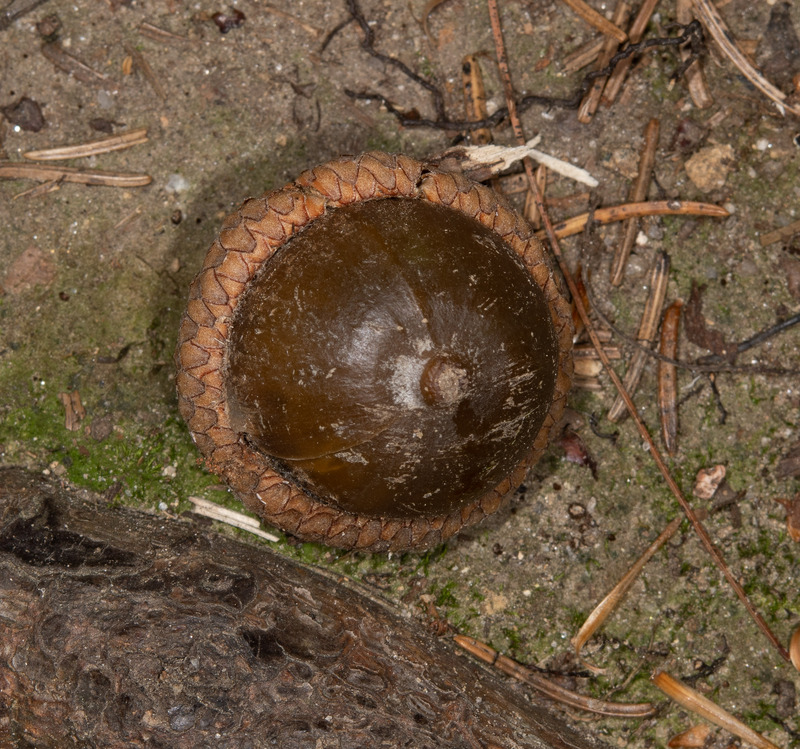 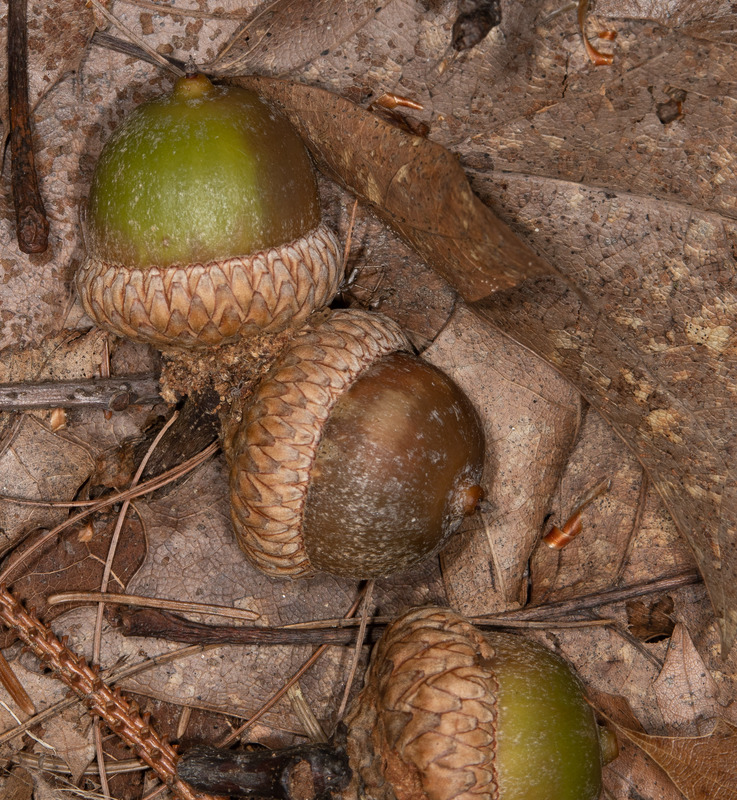 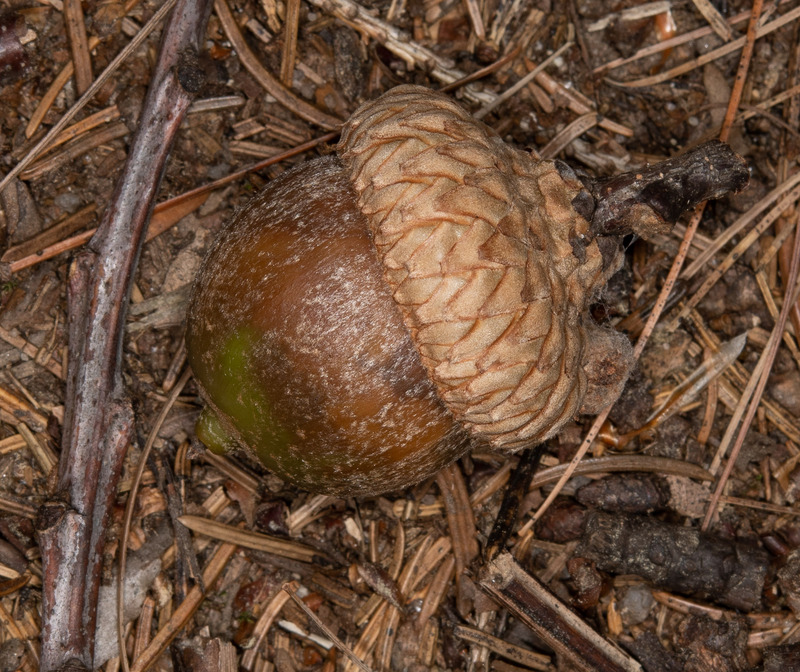 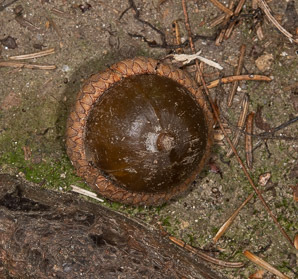 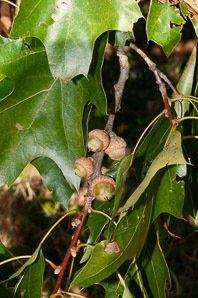 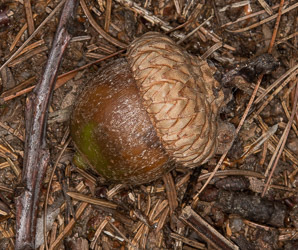 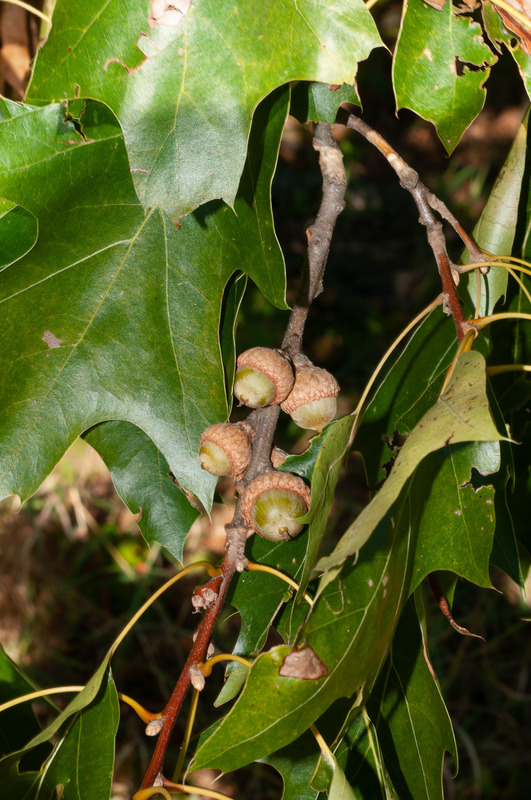 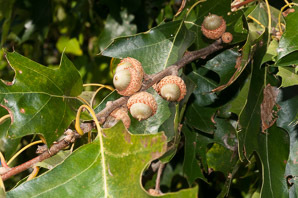 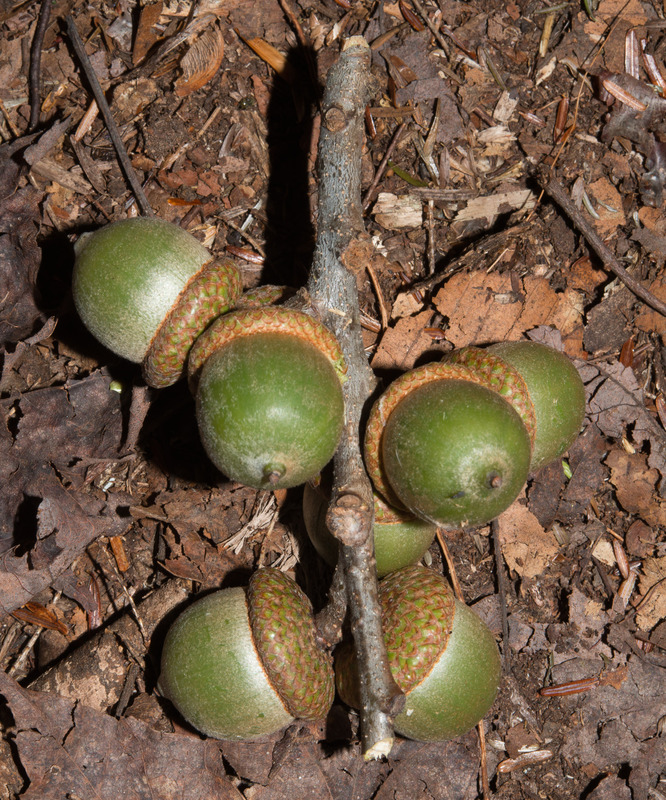 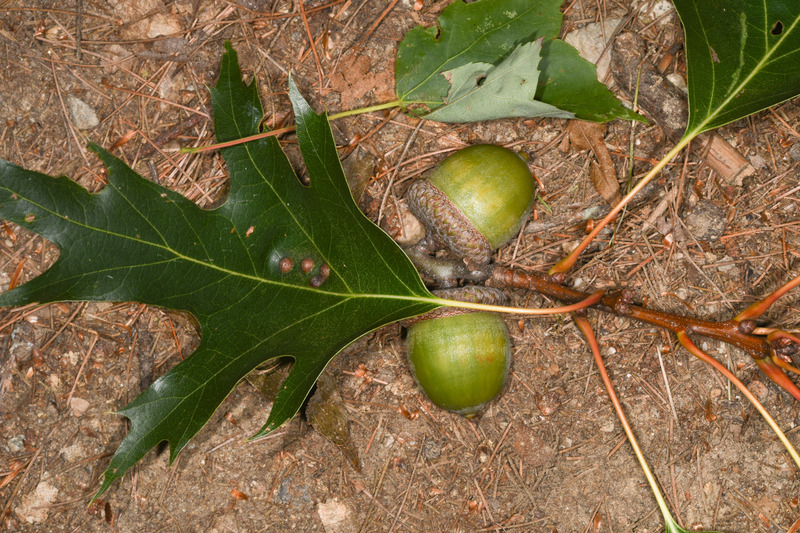 Acorns are about 1" (2.5 cm) long, with shallow caps that cover about a fifth of the nut. 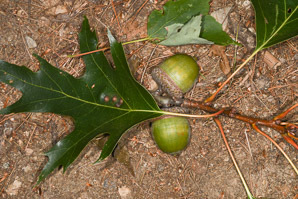 See the Quercus comparison table. 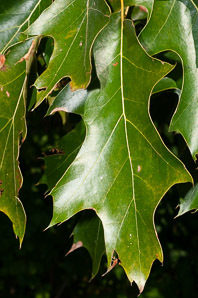 This robust hardwood is often used for furniture-making, along with white oak. 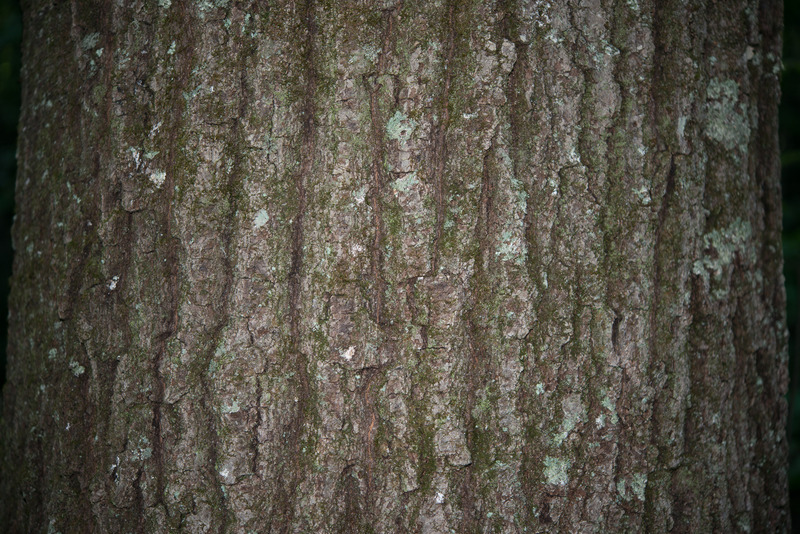 White oak has finer pores than red oak. 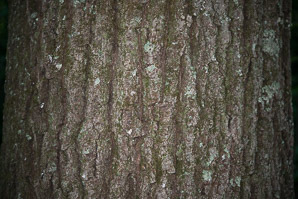 Both are durable, strong woods, with good dimensional stability. 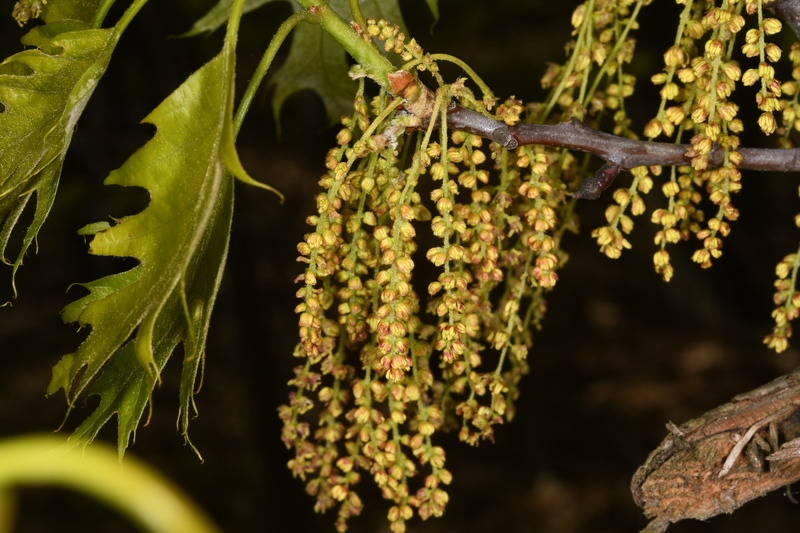 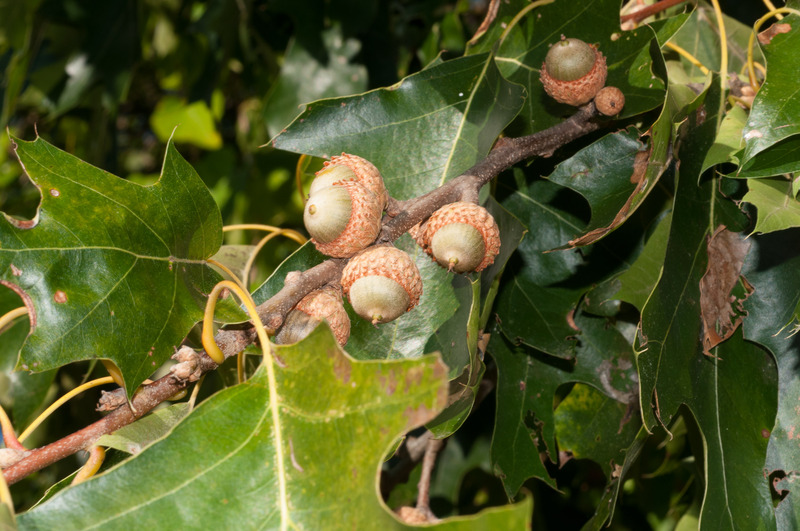 Quercus rubra description by Thomas H. Kent, last updated 2 Jan 2019.